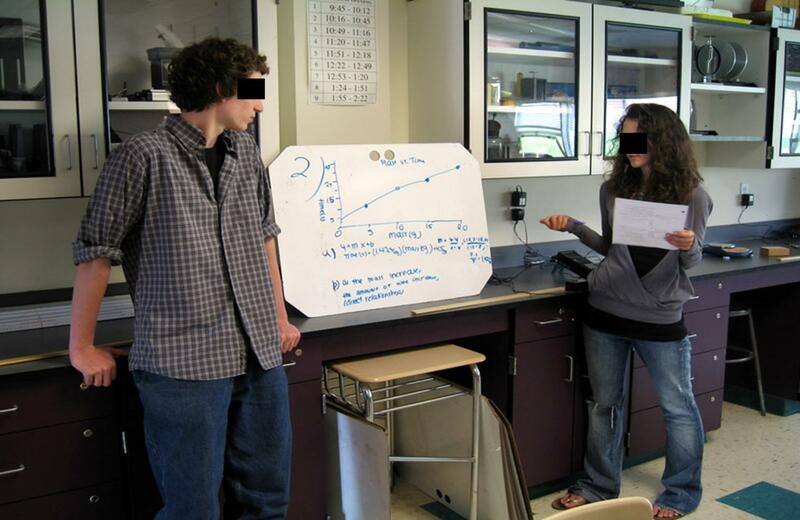 This entry was posted in Uncategorized and tagged inquiry, lab, lesson, modeling, projectile motion, technology, video, whiteboarding, win/fail physics. Bookmark the permalink. What a great post Frank! I love the way you took us through the process – I know kids would love this stuff. Weaving modeling with inquiry based experiments is brilliant, too. I’m definitely going to try it out with my Physics class this year and I’ll let you know what they think. Thank you very much for these posts, I am looking forward to using them in physics. I have been teaching Earth Science and AP Environmental Science for the past 10 years. I was assigned to teach Physics this year. I was hoping that you could direct me to more specific modeling suggestions for topics in Physics. I do not have a strong background in Physics but have been working hard to develop my knowledge base. With regards to the Kobe video, I found that when I tried it using the free video analysis software “Tracker” I had to re-calibrate the screen several times due to changing zomm levels and such. Is this the case? I have turned my modeling suggestions into a new blog post. As for Tracker: The side view of Kobe jumping the pool doesn’t have a camera zoom, if I recall correctly. 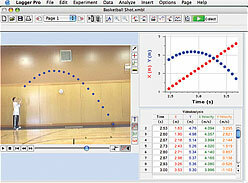 Rhett Allain did his analysis of Kobe in Tracker, too. I used Logger Pro (which doesn’t allow for recalibration) and had no problems. Oh this is just great! I’m going to use this this year in my classes. I’ve also played the game, how fast can you throw/ kick a ball? There are prizes for the students who have the fastest throw and can kick a ball so that the take-off speed is the fastest. We go outside to the football field to do the experiment. The kids design and do the experiment following a similar learning cycle that you described above. I can’t seem to find the video I thought I watched on your blog, but I thought I watched a car go down a ramp and your students predicted/calculated where it would land. My question is this: When you do this activity in class, do you graph the velocity versus height to derive the relationship between PE and KE? May I get more information about your strategy for this particular activity.